Growing up and raising my family in Northeast Kansas, I’ve always had a great infatuation for the outdoors. My Dad introduced me to hunting and fishing when I was very young. I have fond memories over the years spending precious time in the winter with my family hunting pheasant and quail with my Grandpa and his dogs or catching catfish and bass in the summer. I learned at an early age how important it was to have that special piece of property. These days you can find me sharing those same traditions with my son sitting in a tree stand on a crisp fall morning waiting on a giant Kansas buck to walk by or calling in a excited gobbler in the spring. I graduated from Washburn University with a degree in Sports Medicine and Physical Therapy in 1995. 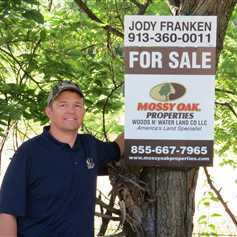 My experience working with clients over the years, ensuring excellent customer service and satisfaction, along with a passion for the outdoors lead me to Mossy Oak Properties.